This Christmas I asked for a few books for Christmas, one of which was The Beckoning by Michael Minot. His book came out recently just like mine did, and I wanted to support my Twitter friend. The book examines truths that transformed Michael from an atheist attorney into a believer in God. The entire book is a worthwhile read, but Chapter 2 (God’s Messenger: The World of Wonder) was my favorite and worth the purchase for those pages alone. I was pre-disposed to the information because of books like Indescribable and information I have learned from Louie Giglio, pastor of Passion City Church and founder of Passion Conferences. (I blogged about singing stars in my post on 9/28/2014.) Michael presented facts about our galaxy with a view toward the earth’s ability to sustain life, and he did it in eleven succinct pages that will now be on my shelf as ready-reference. The celestial path to understanding our significance to God. What follows are selected factual excerpts from The Beckoning that lead to the a-ha! moment that inspired this post. Photos of our beautiful galaxy are provided to the public on sites like NASA’s Image of the Day. 1. The cosmos holds what scientists of the past never imagined: more than a billion galaxies! And within this cosmic cathedral, the smallest galaxies include fewer than a billion stars, while the largest contain more than a trillion. Inside this unfathomably large universe lies our little neck of the woods, which centers on one of the more than two hundred billion stars in the Milky Way Galaxy (page 12, emphasis mine). 2. Within the entirety of the universe, the earth would seem nearly invisible and insignificant (page 13, emphasis mine). I interrupt here to note that our earth is a tiny orb within an immense cosmic cathedral, as Michael aptly describes the universe. Because of it’s small size and inordinate number of other planets, I hear people proposing that there must be life on other planets. 3. Take the earth of example. It moves at a constant 67,000 mph. This precise speed, along with its size and distance to the sun all perfectly match the measurements necessary for the earth to maintain its perpetual orbit around the sun. If the earth traveled slower, it would be drawn into, and eventually collide with the sun. If it traveled any faster, the earth’s velocity would propel it out of the solar system (page 13, emphasis mine). 4. 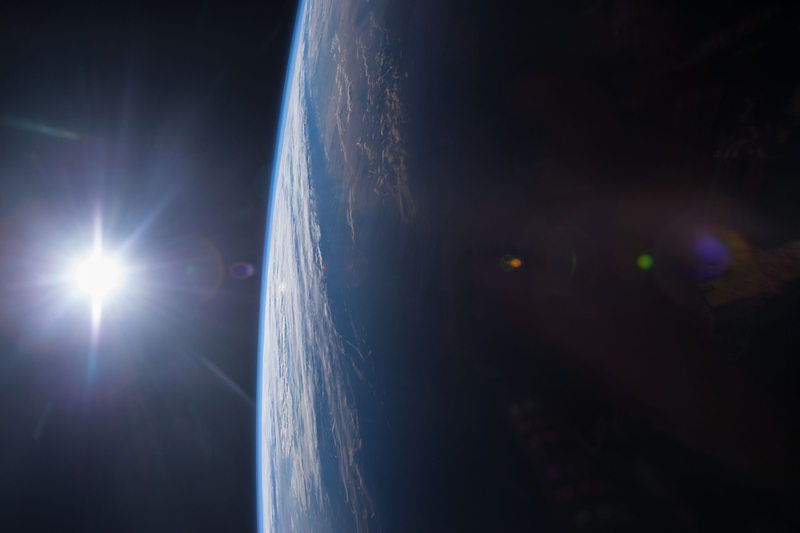 Recent research reflects how perfectly suited the sun and moon are to support life on earth. 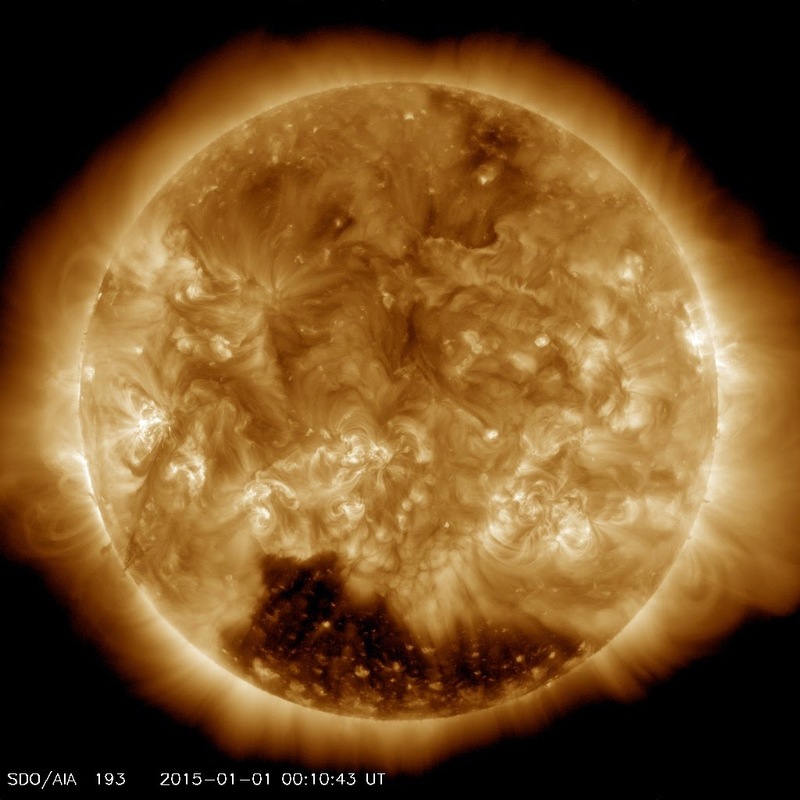 Our sun, for example, maintains the standing as one of the most stable stars ever observed. The sun’s lack of volatility can be attributed in part to its unique location within the galaxy. Safely secluded away from the activity of other stars, the sun holds an unusually quiet spot between two spiral arms (page 14, emphasis mine). 5. Astronomers have found other reasons why our position in the galaxy is important. First, if our sun ever ventured closer to neighboring stars, light emanating from those stellar bodies could interfere with our climate….we find our place in the galaxy free from other stars that could disturb our climate and prevent our view of the cosmos….Impeccably situated for our needs, the earth’s position in the universe is exquisitely stable, calm, and dark (page 15, emphasis mine). My Ah-ha! moment—The location of the earth was hand-picked for us. Right here on page 15 of The Beckoning, I stopped. The instant I read the words, “and dark,” a verse came to mind. In the beginning God created the heavens and the earth. Now the earth was formless and empty, darkness was over the surface of the deep, and the Spirit of God was hovering over the waters (Genesis 1:1, emphasis mine). Suddenly I pictured God finishing His magnificent display of galaxy grandeur and then looking around for where we would live. Amidst the wonder of the universe He went looking for a dark space, a quiet space between two spiral arms, safely secluded away from the activity of other stars so we could survive, thrive, live, and display His glory. The earth is not invisible and insignificant. She looks like she is hiding, but she is chosen and perfectly positioned in the galaxies for us, you and me. We are seen and known by God. Our home was hand-picked by Him and no other home would do. This is the only planet with human beings on it. To accept what does not line up with the facts de-values us. The Bible makes no mention of life anywhere else because earth is the only planet that sustains human life. We are incredibly significant, and so is our planet. If you are feeling left out or forgotten, cast that lie away. God went to the corners of the galaxies to find a life-sustaining planet for us to inhabit, then formed you in the secret place of your mother’s womb, and there is no place where He is not present. You are amazingly special to the God of the universe. Be blessed with that reality today. Thank you for the beautiful photos, Laurie. One might think that in light of all of creation humans are insignificant; yet, in actuality we are the apple of God’s eye. The immense God of the universe loves us! Wow!